Austin Kefir Microbrewery crafts probiotic, vegan, gluten and caffeine-free Water Kefir Tonics that have half the sugar and calories of sodas and juices. They have a light, pleasant, effervescent, fruity taste that appeals to both kids and adults. I am passionate about getting fermented foods back into our diets and believe that Water Kefir beverages are a great way to start. Although Water Kefir is well known outside of the U.S., it's just now beginning to make its way into the American diet. My intention is to get more people home brewing with Water Kefir (I sell live Water Kefir grains for home brewing), and to provide delicious Kefir Water for those who don't want to brew on their own. After months of writing a business plan, and raising a small amount of initial funding, Austin Kefir Microbrewery opened its commercial manufacturing doors on May 1 of 2018. I began commercially brewing our non-alcoholic Kefir Water and selling at local Farmers Markets. However, in late September I was notified by the County Commissioner that my commercial location is deed restricted against manufacturing of any kind (something I specifically asked about when renting). With that said, I was no longer able to utilize the manufacturing space I had just spent the last five months building. I have been blessed to find a shared kitchen space to rent for the time being. 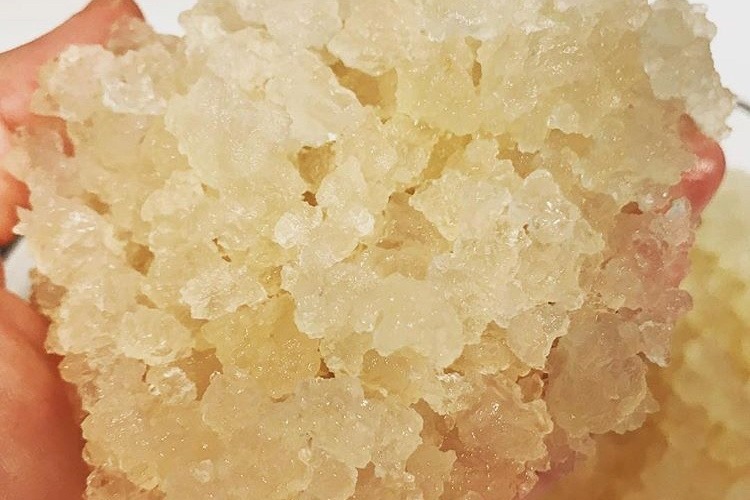 Nonetheless, it is imperative that I find a new manufacturing location that is suitable for the needs of the Water Kefir Grains (temperature control, beverage not food based, etc.). The brewing equipment has been safely stored and is waiting to find a new home. However, with the initial funds used to build the first manufacturing location, I now need to raise additional funds to afford a new commercial spot. I'm hoping to raise $2000 for a deposit and $2000 for the first month's rent. In total, with your help, I hope to raise $4000. Please feel free to check out my website www.austinkefirmicrobrewery.com and Instagram www.instagram.com/austinkefirmicrobrewery/ , and please don't hesitate to reach out to me with any questions. Please help me to get Water Kefir Tonics out there and more available to everyone. I cannot begin to tell you how much your support means to me! 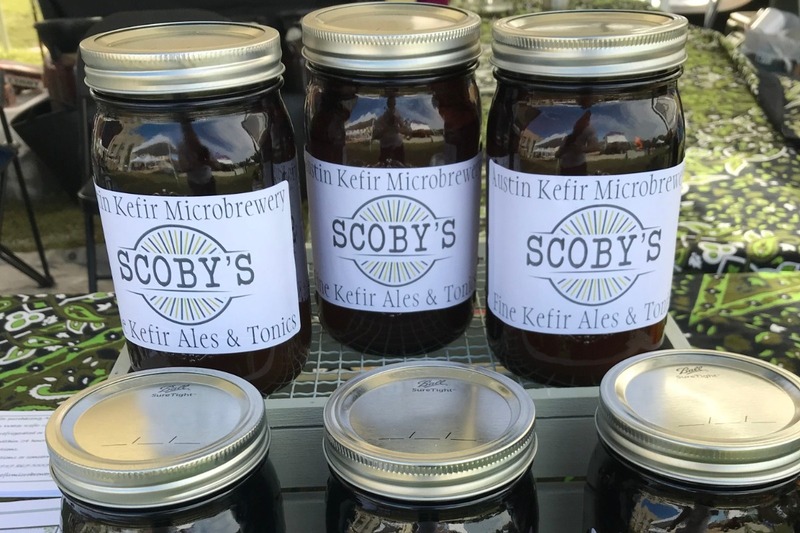 Come visit Austin Kefir Microbrewery each Saturday at the Barton Creek Farmers Market from 9 am to 1 pm, and pick up some Scoby's probiotic Water Kefir sodas. Flavors include Raspberry, Blackberry, Blueberry, Cherry, Mango, Apple Ginger, and more. Your microbiome will thank you for it! We also have Water Kefir grains available to purchase for home brewing, and they come with a full instruction packet. 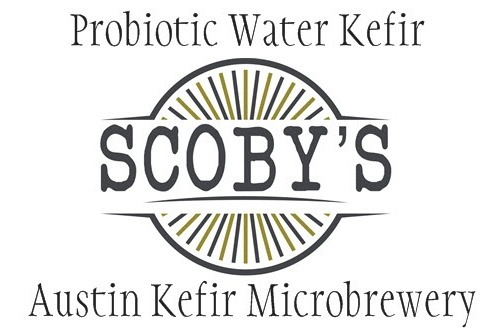 Austin Kefir Microbrewery has been busy bringing our probiotic, vegan, Kefir Water to the Austin Flea Market and the East Austin Makers Market. 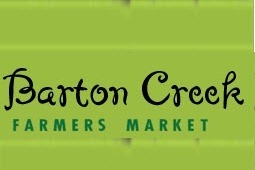 As of December 22 we will also begin selling our beverages at the Barton Creek Farmers Market. We are so excited about being a part of this market. Come see us to taste all of the delicious flavors we have to offer! Please help us to procure a new manufacturing location that will be more appropriate for the Water Kefir grains (non-food oriented, temperature controlled, etc.). 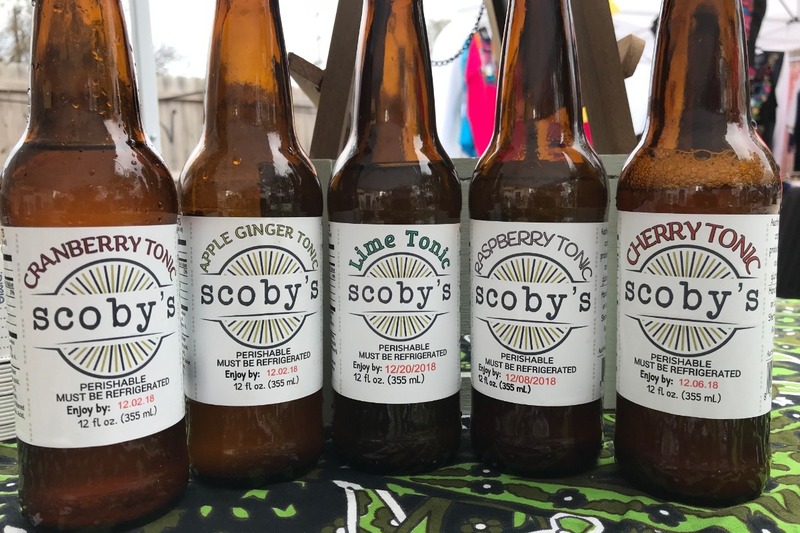 Any amount you can spare will go a long way in helping to bring fermented, probiotic beverages into more people's lives. 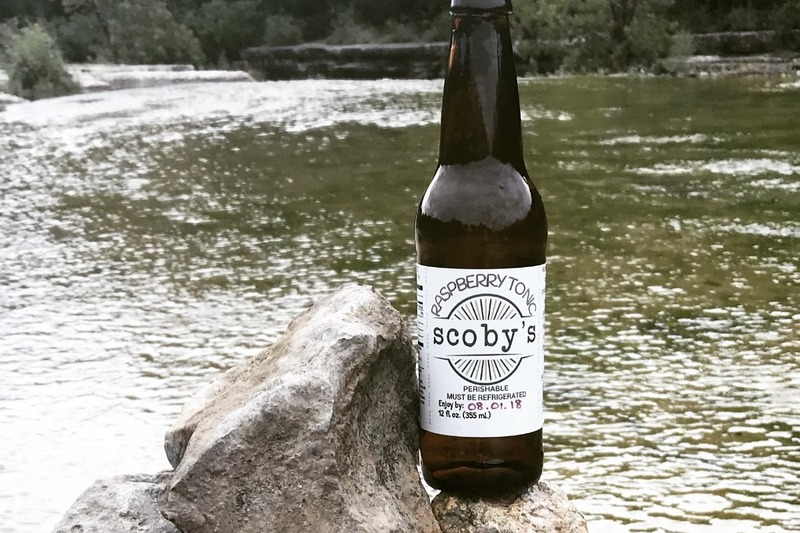 Please help Austin Kefir Microbrewery reach our goal of obtaining a small manufacturing location, which will enable us to brew and sell our amazing probiotic Water Kefir. They're vegan, gluten and caffeine-free, have half the sugar and calories of sodas and juices, and help replace the beneficial flora in your system. Not to mention they are delicious, with flavors like Dark Cherry, Blackberry, Mango, Apple Ginger and more. 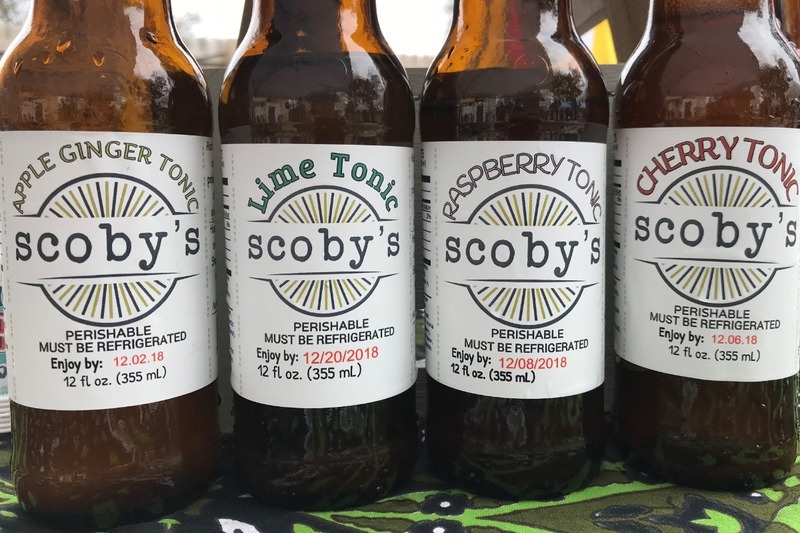 If you would like to find out more about Scoby's probiotic Tonics, or would like to speak with me, please feel to reach out to me.